This is the moment a witness says she caught a “boozed up” hen party reveller having a drunken row with a bride-to-be – on a FLIGHT. Families on the 6am flight to from Gatwick to Tenerife said the “lairy” hen party member was knocking back spirits and mixers during the four-hour journey. But an hour from landing, passengers said the woman with short blonde hair picked a fight with the bride-to-be and refused to take her seat on the Norwegian Air flight. Onlookers said the woman – who was wearing a ‘hen do’ t-shirt – was asked to sit down by a female air steward and apparently “pushed” her. The flight from London Gatwick to Tenerife took off at around 6am on Thursday. It is alleged the woman became disruptive shortly before landing, onlookers said. 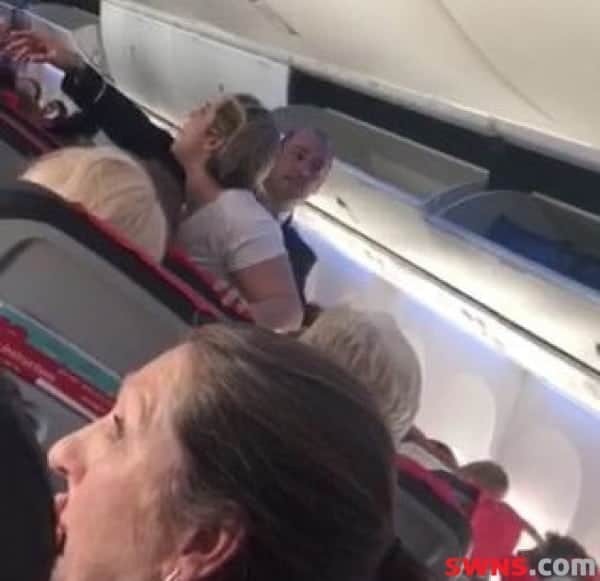 A spokesperson for firm Norwegian said: “We can confirm that due to disruptive behaviour from a passenger on this morning’s flight from London Gatwick to Tenerife, the police were called who removed the passenger upon landing. Previous PostWatch – Lamb Born With Five Legs!